Bachelor of Technology or insert B.Tech is a very special course designed to help students become a professional engineer in their respective field. There are several sections in B.Tech that includes computer engineering, mechanical engineering, electrical engineering, automobile and many more which students can choose and pursue the line as per their interest and knowledge. However, during the last year of their graduation, most of the students have only one thing in their mind, “What to do after completing B.Tech”? Today, many Science students do enroll themselves in a B.Tech course, however, only few of them knows what their actual ambition are. While the others tend to have no particular idea on where there life is actually heading. This article is aimed to those students who are pursuing or completed their B.Tech education and are now looking to move ahead in their life. Many students tend to look for a decent job opportunity in their respective field after finishing B.Tech graduation. However, they hardly get lucky as in today’s competitive world most Industries tend to hire experienced and professional candidate over the Freshers. And when B.Tech students don’t get the kind of job they are looking for months they are left with no other choice but to join any job opportunity that comes in their way regardless of how low the salary or what field they are going into. With the help of this article you will find out different options you can choose in order to lead a successful career ahead in the future. 1. Pursue an MBA or M.Tech degree: This may sound like an unworthy idea, however it can be understandable to pursue MBA degree after your B.Tech as Industries these days prefer to hire candidates who are master in their respective field. Today, no one would ask for a candidate with a mere B.Tech degree unless the student has acquired the degree from a well reputed University. However, being a master degree holder would certainly increase the interest of the recruiter in your portfolio over the other potential candidates. You can join MBA where you can learn some management skills or proceed your study in M.Tech where you will achieve in-depth knowledge on your area of interest. With the right knowledge and proper education you can easily make your way to the management department of any reputed industry or get accepted in the HR department. 2. Join any short term job oriented training course: It is an unfortunate fact that completing a B.Tech degree from in not so popular University may not be able to convince the recruiter about your skills and expertise in the area. However a certification from a well reputed training institute can certainly put a little more weight age on your resume. To put it simply joining a short term job oriented training course after completing your graduation in B.Tech, can help you strengthen your skills which will definitely get you a high paying job. There are several practical training courses available which you can choose depending on your interest or field, which include HR generalist training course, HR payroll training course, advanced Tally ERP 9, advanced MS Excel, VBA and Macros Training, account and taxation training, web development training course, digital marketing training Course and many more. These courses are specifically designed to have the candidates gain in depth and immense knowledge in their particular field in a very short amount of time. 3. Acquire a job during campus placement: If you think you have gained enough knowledge required to become a professional then you may try to find a suitable job depending on your qualification and preference. You can start from your University campus placement which begins during the last year of your engineering. You can get hired by a decent organization looking for a candidate like you and it would prove to be very effective for your career as you will gain the much much-needed experience. 4. Prepare for civil services: If you have completed your graduation it means you have open your door for the civil service examination. Although it is considered as one of the toughest exams in the world, this should not stop you from preparing for civil services as if get cleared you will become an IAS or IPS officer who possess a great importance in the Indian Judicial System. Joint training institutes who specializes in providing civil service preparation in order to get your chances of selection up. 5. Start your own business venture: It is necessary to find a relevant job opportunity after the completion of your graduation, however, you cannot overlook the chances of starting your own business venture. If you have passed out in computer science, then you can easily open computer Store or start your automobile business, if you have done B.Tech in Automobile field. 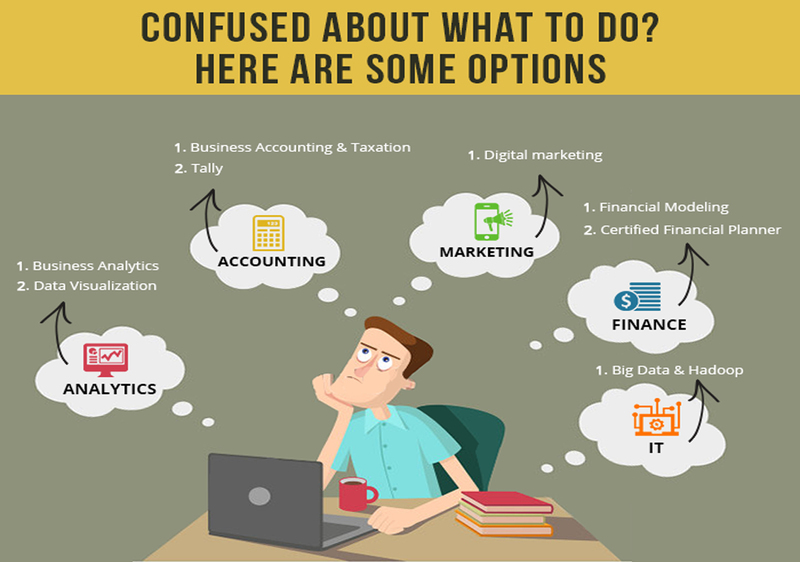 There are numerous opportunities that can be explored after B.Tech for a business venture, as long as you have the knowledge and understanding of the field along with market condition. 6. Find Foreign job opportunities: If you are looking to earn a higher payout through your professional knowledge, then it is suggested to go abroad and join an IT based company where you can offer your services. The payouts in foreign markets are way higher than India and thus, it would be explicable for candidates to explore the world. 7. Try Journalism: This could be beneficial for your career ahead after completing your B.Tech. Engineers can use their skills and knowledge to offer their assistance to News media. You can join any reputed college to join the course of journalism where you will learn about journalism and together with your understanding on your area of interest, you can become a successful journalist. There are many other professions you can try if you possess the skills that includes becoming an artist or joining the army. However, the most recommended option would to to join a short term job oriented courses from a reputed training institute in the field of your interest. You can increase your computer related knowledge by attending programming language courses, web development training, digital marketing training, or you can enhance your management skills through advanced human resource training course. All in all, pursuing the same line you have been studying for the entire four years for a few months more from a highly specialized and well recognized training institute would provide you better chances of acceptance in a reputed firm.